This page is about the aircraft Re.2001 serie 1. For other uses, see Re.2001 (Family). 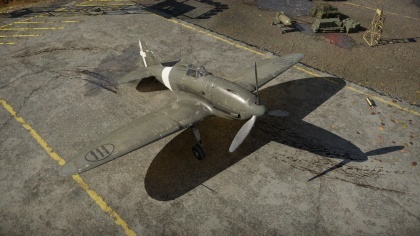 The Re.2001 serie 1 is a Rank II Italian fighter with a battle rating of 2.3 (AB/RB/SB). It was introduced in Update 1.85 "Supersonic". Describe how the aircraft behaves in the air. Maximum speed, manoeuvrability, speed and allowable loads - these are the most important characteristics of the vehicle. ? ? 11 000 ??.? ??.? ??.? ??.? ??? 740 320 ??? ~?? ~? Describe the tactics of playing in an aircraft, the features of using vehicles in a team and advice on tactics. Refrain from creating a "guide" - do not impose a single point of view, but give the reader food for thought. Examine the most dangerous enemies and give recommendations on fighting them. If necessary, note the specifics of the game in different modes (AB, RB, SB). Entering the Italian Royal Air Force contest to design a new fighter with a radial engine and large-calibre armament was a new experience for Reggiane. This Italian engineering company had previously only worked on large bombers. However, engineers Roberto Longhi and Antonio Alessio were confident that they could bring something new to the table. 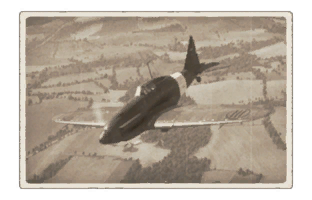 The construction of the monoplane fighter they designed for the contest was made from aluminium alloy and inspired by the American Seversky P-35 project. The Re.2000, as its creators called it, underwent extensive testing at the end of the summer in 1939. The fighter demonstrated superb flight and speed qualities compared to the other contest entries. When pitted against the Bf 109 E, the landmark German fighter of its time, the Re.2000 proved more manoeuvrable. Surprisingly, the metal monoplane even outflew the agile Fiat CR.42 biplane in testing! However, the Re.2000 ultimately lost the contest for serial production for the Italian air force – testing revealed leakage problems in the fuel tanks. Foreign customers expressed keen interest in the aircraft – the British ordered 300 units for the RAF (of course, the order was cancelled when Italy joined the war), and Finland, Yugoslavia, Switzerland, and Portugal were also interested. Sweden purchased 60 units of the model and Hungary purchased 70 units and a production license (the Hungarian versions were given the designation “Héja”). The design of the first Re.2000 fighter series was the basis for future developments at Reggiane, being more successful than its ill-fated predecessor. This page was last edited on 15 April 2019, at 17:31.